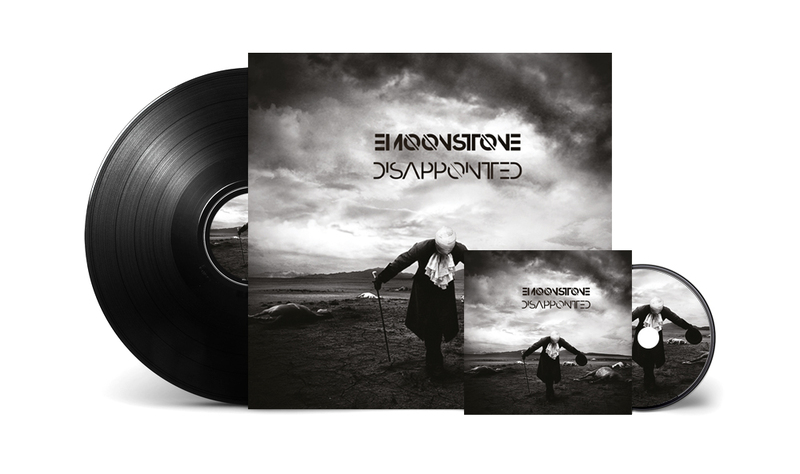 “Disappointed” is the first album by Emil Moonstone, the solo project of the Two Moons voice. An album in which, apart from having composed all the songs, plays most of the instruments during the recording sessions. Nine tracks, psychedelia, noise effect, study experiments, are intertwined in a maliscious record, but at the same time full of feelings. “Disappointed”, is presented by what is already the apocalyptic cover, edited by the artist Stefano Bonazzi, leaving no room for imagination: it is a raw, true and visceral disc. The central theme in the album narrates of failures, of things that somehow end up in pieces, of a gloomy future, of disappointment for the failure of the human race. Musically speaking, the songs are developed on the basis of drum machines in which noise guitar riffs suddenly leave room for a break marked by a dull trip-hop, and then resume the central plot and its psychedelic excursions. “Disappointed” is almost an account of where we have ended up. So it is not a casual choice to end the album with “Hurt”, a placid finale in which the NIN cover (or if you prefer, the cover of the Johnny Cash cover), seems to want to bring a thread of order, into the chaos of sounds and words. The album turns out to be difficult, Moonstone does not spare himself and records in this project all his inspirations, the splinters of madness, extravagance, tenacity and impudence, all attitudes that distinguish him. Thus the voice of Two Moons decides today to go beyond the collective schemes, wounding the common perception, making sure to turn the purists nose up, striking the susceptibility of many. But this is E. Moonstone, this is “Disappointed” because when a man is “disappointed” he tends not to use half terms.